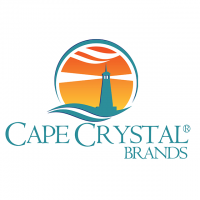 Cape Crystal Brands is your reliable provider of premium quality, and affordable natural and modified organic food products. We’re a modern, 21st century company with a singular goal in mind: we want to provide our amateur cooks and professional chef customers with a wide range of natural and organic premium quality ingredients – at great prices. We pride ourselves in pushing the boundaries of modernist cooking and molecular gastronomy, constantly introducing new products and ingredients for our customers to create with!